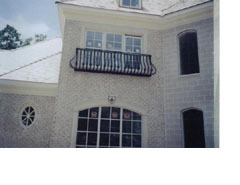 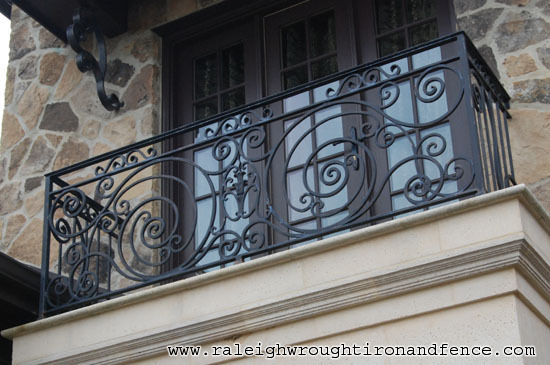 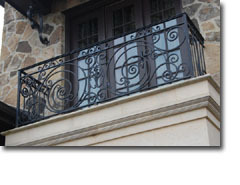 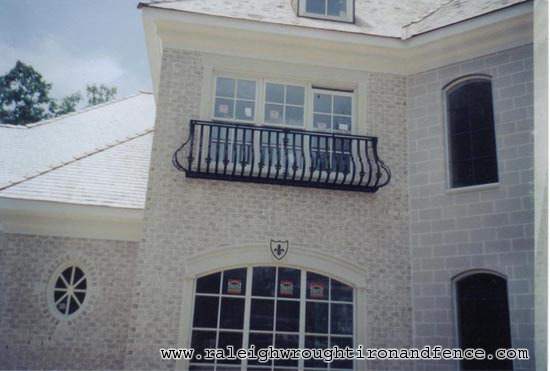 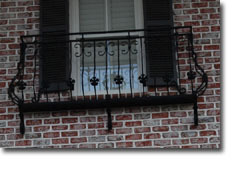 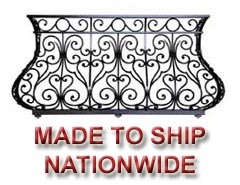 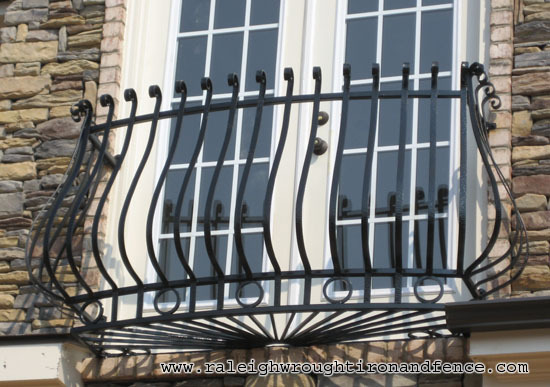 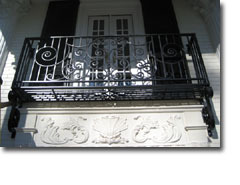 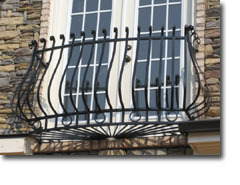 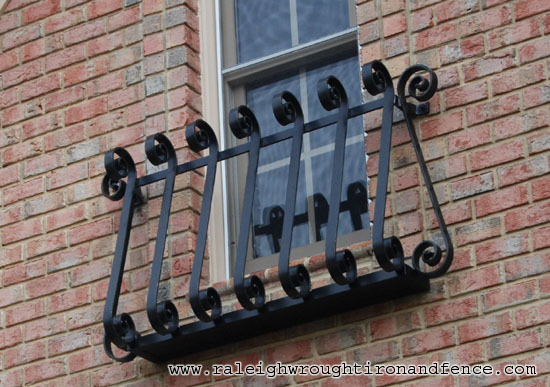 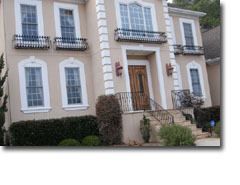 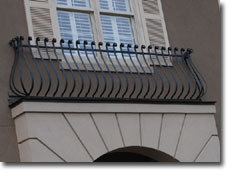 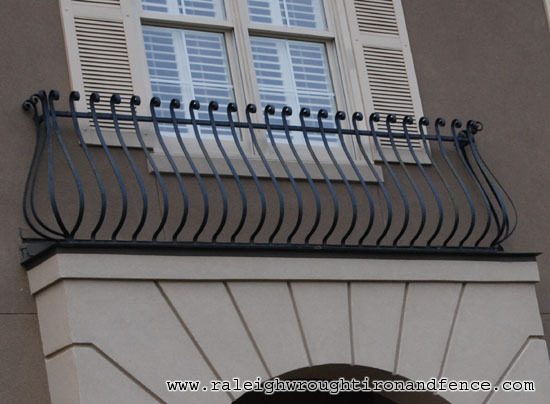 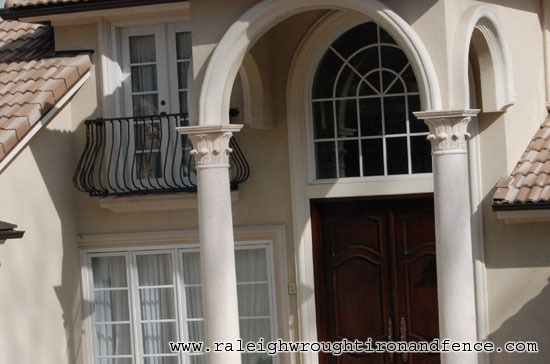 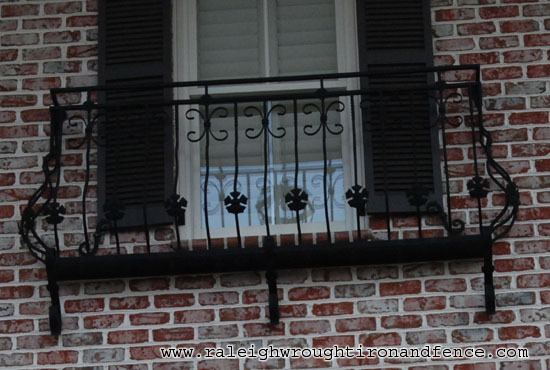 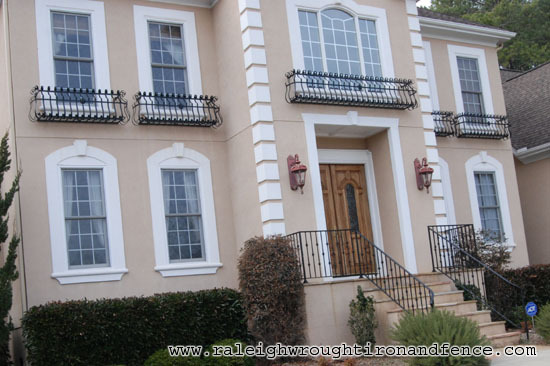 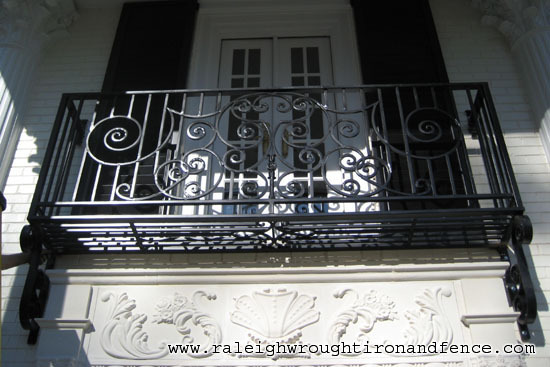 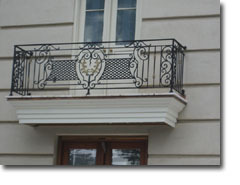 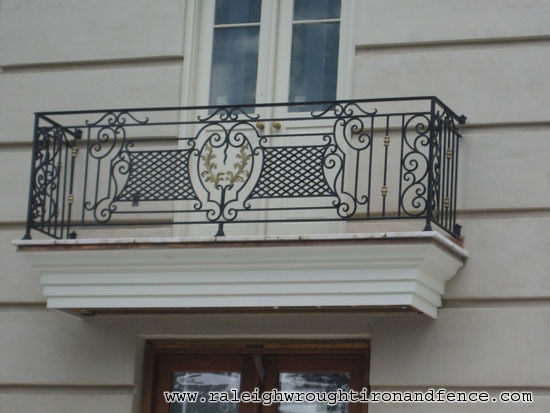 Iron Balconet - Raleigh Wrought Iron Co.
Balconies are one of the most beautiful feature of any home or business. 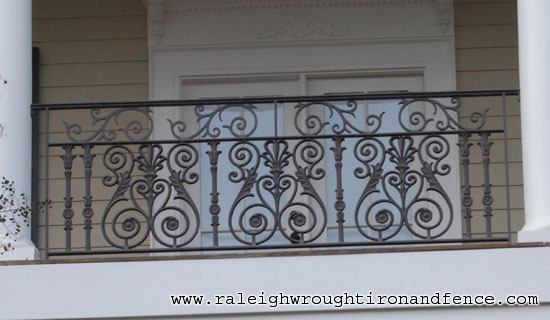 They add to the living space of the house but many of them are used simply for the balance and elegance they bring to the house. 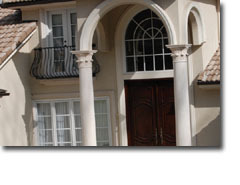 We know that your property and it's appearance are a unique expression of the owner. 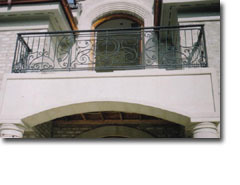 We want your vision to be our creation. 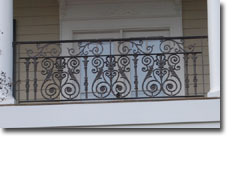 From simply functional designs to stunning one of a kind custom decor, our craftsmen will create a beautiful balcony that will help make your home or business form a lasting positive impression. 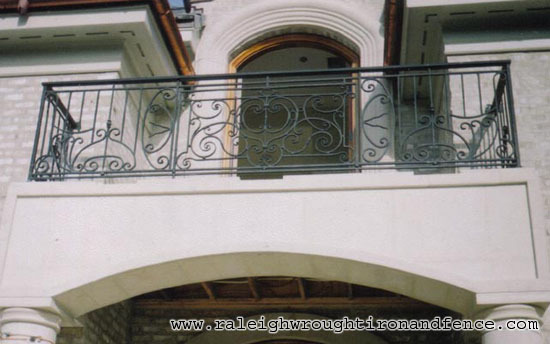 We have many designs and concepts available for you to choose from but we are also delighted to bring your imaginative concepts to breathtaking reality. 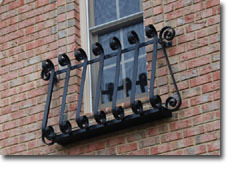 Architects, Custom Home Builders, and Designers sometimes refer to them as Balconet, Faux Balconette, or Iron Juliet Balcony.